Ohio State in USA has more than 800 Golf Courses. Some of them are Acacia Country Club, Adams County Country Club and Airport Greens Golf Course. 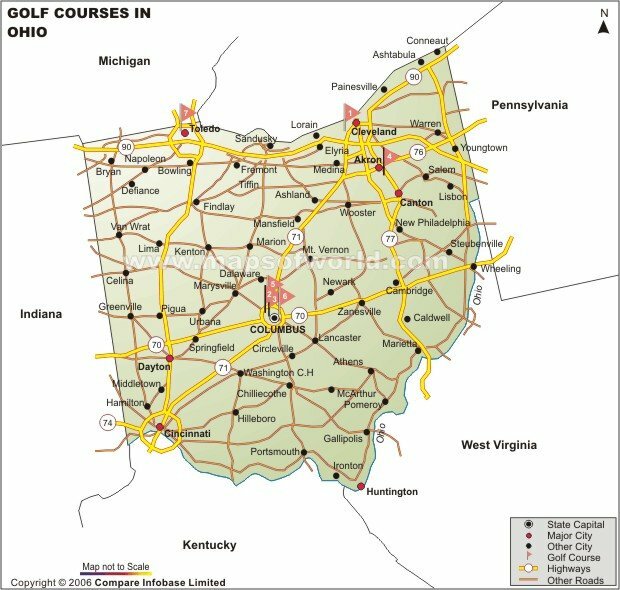 The Ohio Golf Courses Map identifies the golf courses in the state. The State of Ohio has 886 golf courses. Canton, Cincinnati, Kent, Columbus, Akron, Columbia, Dayton, Springfield, Medina and Toledo are just some of the renowned golfing destinations there.Windy Knoll Golf Club, Forest Hills Golf Course, Northwood Hills Country Club, Mitchell Hills Club Inc and Snyder Park Golf Course are but a few of the notable golf grounds of Springfield. 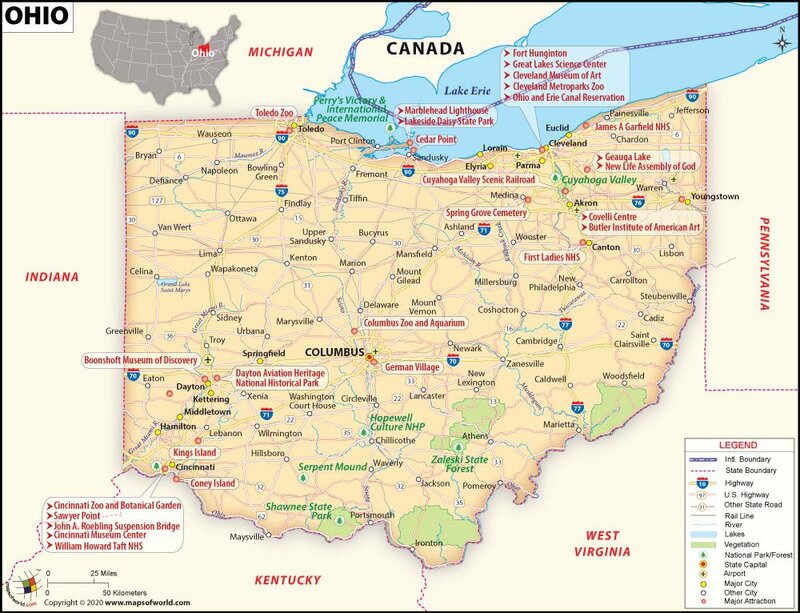 The Ohio State Map indicates the exact position of the golf courses of the state.